If you’ve been smoking for years, you probably don’t get as stoned as you used to and that might lead you to try out a cannabis detox, or a tolerance break as most stoners call it. This is a period where one just doesn’t smoke, or smokes considerably less. If a stoner overloads their endocannabinoid system, the brain’s response to cannabis can be lessened. A tolerance break can be great, especially for heavy smokers are looking to get super duper stoned once more. But what happens when you stop smoking weed? 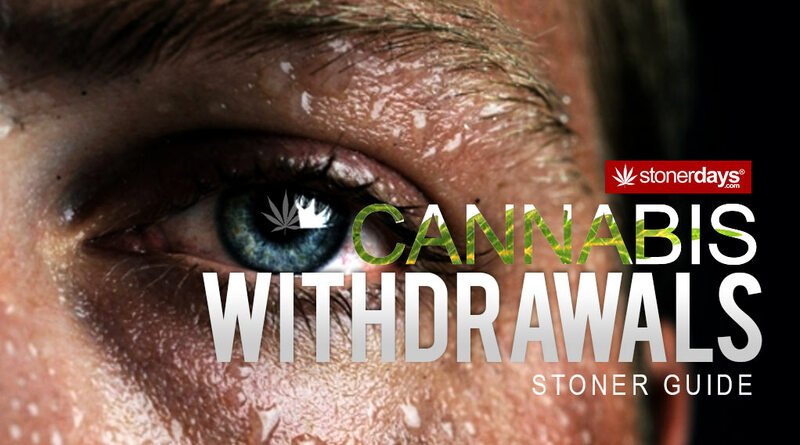 Cannabis withdrawal is a real thing but it isn’t as severe as some mass media outlets make it out to be. With the Telegraph and the Daily Mail in the UK posting headlines such as “Cannabis as Addictive As Heroin”, you would think that the symptoms of cannabis withdrawal would be unbearable. While the effects of less weed are unpleasant, most people can get over them without a hitch. Much less harsh than heroin or opiate withdrawal, cutting down your cannabis use isn’t that bad as long as you know how to handle it. When taking a break from weed, there are a few symptoms that one might experience. Starting in the first week, trouble sleeping, loss of appetite (or potentially an increase of appetite), physical symptoms (headaches, sweating, fever, chills, stomach pain, etc), or restless will make themselves apparent. Physical symptoms aren’t as apparent as the later, mental symptoms. This happens later, about a week after the break has started. Mood changes will occur, along with strange and intense dreams. Nervousness will also appear, sometimes immediately after stopping or somethings up to nine days after. Overall, symptoms of cannabis withdrawal don’t seem to last longer than 20 days and peak at about 10. If you are attempting to take a tolerance break, it may be a good idea to slowly lessen your cannabis use if you experience some of the harsher symptoms. There is a 50% chance that you will be able to quit smoking without having any symptoms. But for the other 50% that do suffer from symptoms, there are ways to help yourself get through it. It is best to keep yourself busy. Go to work, get outside, ride your bike, go for a walk. Sitting around will only magnify the symptoms and getting out and moving around will not only keep you occupied, it will help you become more tired in order to overcome the insomnia. Eat healthy foods and avoid junk that will give you sugar highs and make you crash. And don’t forget, that first hit at the end of your tolerance break will be awesome!